﻿ "2.0"... Shankar's sci-fi magnum opus is a colossal bore! Tusshar Sasi	 November 30, 2018	 Leave a Comment on “2.0”… Shankar’s sci-fi magnum opus is a colossal bore! While watching 2.0 I was strangely reminded of director Shankar’s enviable oeuvre that, arguably, has not evolved in the best fashion over the years. For a filmmaker who enthralled us repeatedly with a bunch of full-blown commercial masala films right from early ‘90s, it is clear how he is losing his Midas touch. Technology was always a thing of fascination to him, we agree, but it is alarming how his recent films have advanced only to being mere spectacles. Come to think of it, we gleefully relished the VFX songs in Muthalvan and Indian. Same for the technology gimmicks in Jeans and Anniyan. Those films, however, came with solid material to qualify as riveting entertainers. In his latest film 2.0, what we endlessly miss is a plot. Emerging from the familiar story of Dr. Vaseegaran and Chitti (both played by Rajinikanth), the film employs the latter’s help in saving the nation from the menace of Pakshirajan (Akshay Kumar). The antagonist here has a rather noble intent of preventing the inhabitants of earth from usage of cellular devices and saving birds in the process. Well, this is unfortunately where the film begins as well as ends. All we get throughout its runtime is an exhausting display of its VFX artists’ proficiency in a narrative that is completely devoid of incidents, let alone a classic dose of Shankar magic. The only episode in the film where it reasonably engages is when Shankar decides to take us on a flashback to Pakshirajan’s childhood. An orthinologist with a solid cause, the rationale behind his actions stands justified in a way that is relatable to traditional Tamil cinema lovers. Furthermore, going by the director’s penchant for vigilante cinema, one easily identifies the filmmaker’s thought process. Having said that, the way Shankar’s screenplay lets Vaseegaran orchestrate ideas to fight the antagonist’s threats is bland and repetitive. The visuals effects are so designed that it stuns you to bits even when you barely feel involved in the events that unfold. The astonishing 3D tropes eventually end up grating on your nerves. With Shankar clearly not in his elements, it was left to the actors to make some sense out of the proceedings. 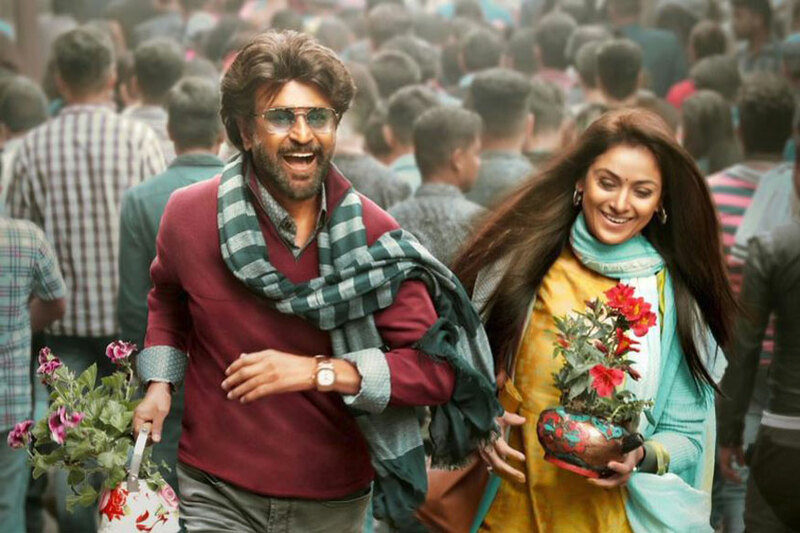 Rajinikanth goes all guns blazing – literally and otherwise – in his dual role and the robot Chitti is as adorable as he was in the prequel Enthiran. Akshay Kumar gets minimal screen space but the actor does well despite heavy prosthetic makeup and an apparent discomfort over the language. Amy Jackson gets no scope whereas the supporting cast is listless all the way. At the end of it, 2.0 ends up as a generic, uninspired film that does not utilize its resources in a way that it earns an edge over its Hollywood counterparts. The film also doesn’t work singularly from a mainstream Indian film viewer’s perspective as it is devoid of standard masala ingredients. Not that I am asking for a tried-and-tested Shankar extravaganza complete with elaborate dance numbers and a topsy-turvy screenplay but 2.0 sets in intense monotony. Well, that is not what you want out of a Rajinkanth actioner helmed by Shankar, is it? Previous Post“Science Fair”… An insightful journey with some of the brightest young minds! Next Post“Beautiful Boy”… Timothée Chalamet lends gravitas to a familiar drug-abuse drama!